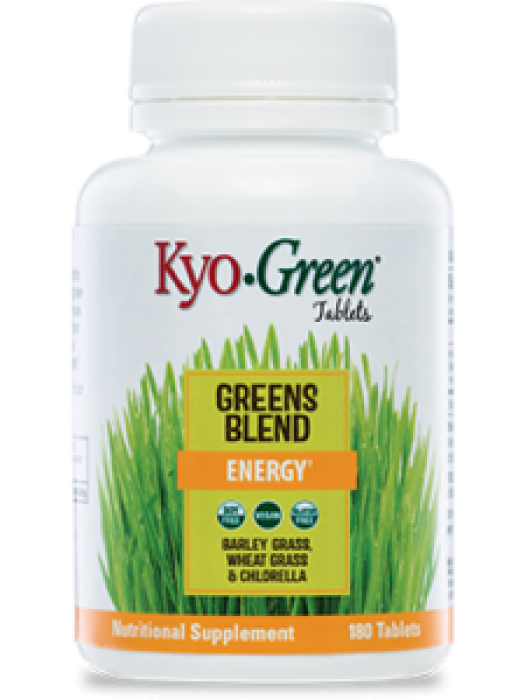 KYO•GREEN Tablets are a quick and easy way to get your daily greens. They can be chewed or swallowed. FREE OF: GMOs, soy, gluten, dairy, tree nuts, sodium, yeast, artificial colors and flavors.